﻿What We Can Do For You! Excellent Estate Sales conducts business in the Greater-Detroit Michigan area. Our services provide professional residential liquidation services, estate sales and the sale of personal property. Our clients are those who need professionals with knowledge and values. Our goal is to give you the maximum benefit of a sale. We manage the pricing and sale of fine art, antiques, collectibles, books, jewelry, vehicles, furnishings and household goods. 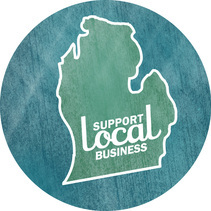 We are family owned and operated and provide exceptional service to our clients in the Greater Detroit-Area. We work with professionals, antique dealers, art collectors, corporations and private clients to help them buy and sell through estate sales and private sales. Our appraisals are supported by thorough and fair research. Estate sales can be difficult to manage and handle, but with our friendly, reliable service, you will receive exactly what you need, "An Excellent Estate Sale." Excellent Estate Sales also has experience in property and financial solutions. If you would like more infomation on these subjects, please contact us.